The first baby has been born into a novel clinical study that is assessing the impact of a mother’s health before and during pregnancy. Sophie Richardson was born on 26th June 2016 at 8.14pm weighing 6lbs 6oz. Both mother and baby are doing well. Sophie is the first UK baby born in the international NiPPeR study, which is investigating how a specially-formulated nutritional supplement taken before and during pregnancy could improve the health of the baby in the first year of life and beyond. The study is being led by the EpiGen Global Research Consortium and being carried out across three centres: Southampton, Singapore and Auckland in New Zealand. Increasing evidence shows the mother’s nutritional state as she enters pregnancy is important for the baby’s development and life-long health. For example, if the mother has high blood sugar levels in pregnancy it can predispose the baby to having increased body fat and diabetes in later life. Researchers also think that the food women eat, even before they are pregnant, can “program” the baby by switching genes on or off to influence the risk of childhood obesity and other disorders later in life. The NiPPeR study provides all participating women with a nutrient drink before conception. The drink includes the vitamins and mineral supplements already recommended for pregnancy. Half the women also get additional components in their drink, such as probiotics, as part of the trial. The women are then followed through pregnancy and their baby’s first year of life. The study aims to evaluate the benefits of the nutrient drinks for the mother and baby. The team is studying the effects on maintaining healthy levels of blood sugar, vitamins and minerals in the mother, and the potential to promote a healthy pregnancy and healthy growth and development of the child. 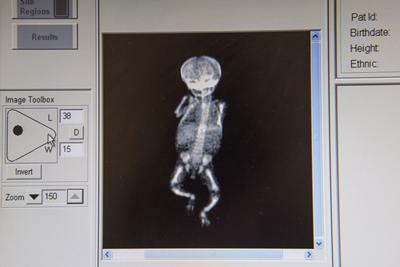 In addition, the study will generate a rich “biobank” of blood, urine, hair and other biological samples that will be collected throughout the trial to answer important questions about how to provide babies with the best start to life. Professor Keith Godfrey, Professor of Epidemiology and Human Development at the Medical Research Council Lifecourse Epidemiology Unit, University of Southampton is the study’s Chief Investigator. 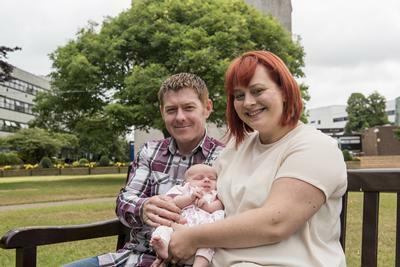 He said: “We are delighted that Sophie is the first UK baby to be born into the NiPPeR study and are thrilled that both mum Lizzie and Sophie are doing so well. The study aims to recruit 600 mothers at each of the three sites. So far 174 mothers* from the Southampton area are taking part. The NiPPeR study is a collaboration between researchers in the EpiGen Global Consortium from the Medical Research Council Lifecourse Epidemiology Unit at the University of Southampton (UK), the Liggins Institute at the University of Auckland, the National University of Singapore, and the Agency for Science, Technology and Research (Singapore), together with the National University Health System. The Consortium’s aim is to improve human health through the application of epigenetic tools and technologies. The research includes a focus on epigenetics, the biology of understanding how gene function is regulated by environmental factors, such as maternal nutrition, during the very early stages of development.